If you are planning a vibrant presentation on your website, sound effects are a must. These audio works help to bring on a lively ambiance on the virtual world, assuring an almost real-life feel of the phenomenon in question so that you are never bored even while browsing from home. 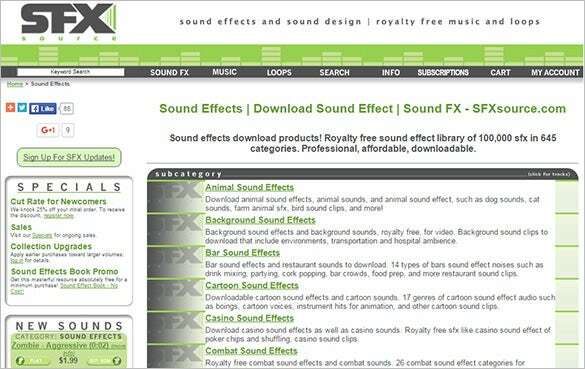 Video gaming sites and many other web platforms include sound effects in their presentations. You can also see Web Design Tools. Looking for novel sound effects to add emphasis to your presentations? Go for Flashkit which offers a wide range of sounds that can be downloaded for free. 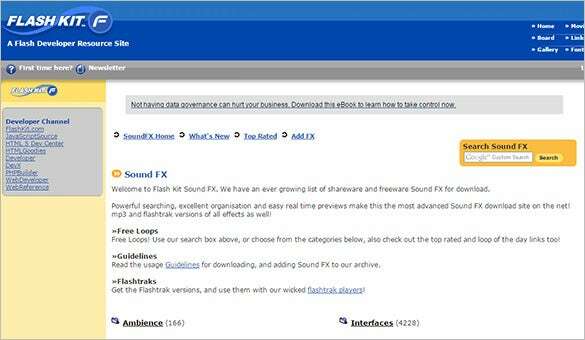 Updated on a regular basis, it is quite easy to search for the desired sound effects on the website using the powerful search option. AudioMicro with its impressive collection of sound effects is one of the best websites to download music as well as sounds. The amount charged for downloading these sound effects is very nominal which makes this a favorite. The audio offered on this website are extremely high quality ones and can enhance the charm of your presentation or event. 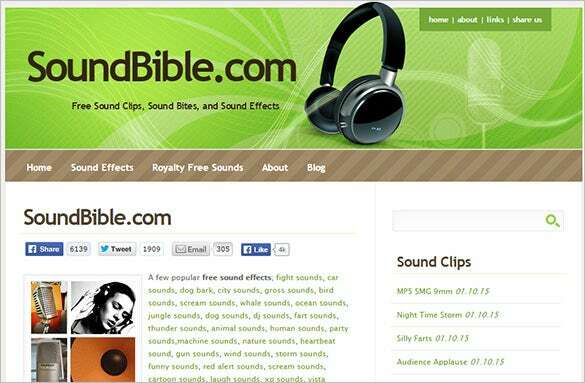 Boasting of more than a million registered users, this website consists of high quality sounds and sound effects ranging from sounds of animals and birds to sounds that enhance the special effect experience. Having worked in tandem with renowned clients and created sound for popular movies, this website is a great choice for downloading sound effects. With more than a million sound effects in different categories, audio downloaded from this website can enhance the quality of your presentation or project. 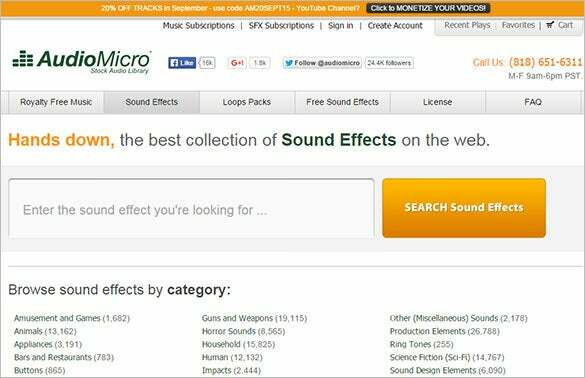 Easy to download and reasonably priced, these sound effects have a professional touch to them. From animals to cartoons, machines to music, find all varieties of sounds here. 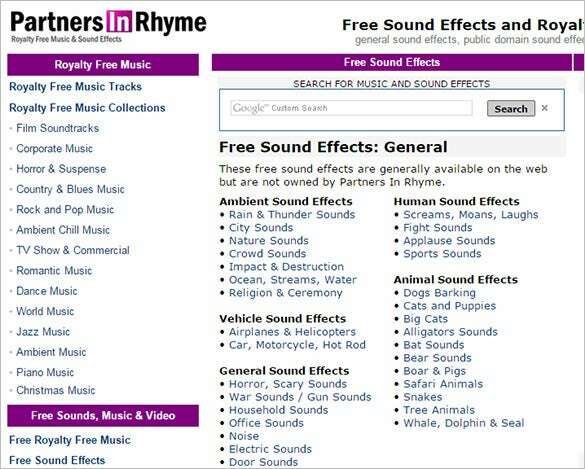 Whether you are looking for sounds for your movie or website, Partners in Rhyme is a one stop shop for all kinds of sounds. Be it rains pattering on the tin roof or the swish of a curtain, you can find it all and more on this website, and that too free of cost. If you regularly need to download sound effects in the course of your work, then registering onto this website would be a great idea. A nominal onetime fee is all that you need to pay to get access to an impressive collection of sound effects and audio clips. Soundboard with its unique concept allows its users to upload the sounds developed by them which make for an impressive collection of never before heard sounds. 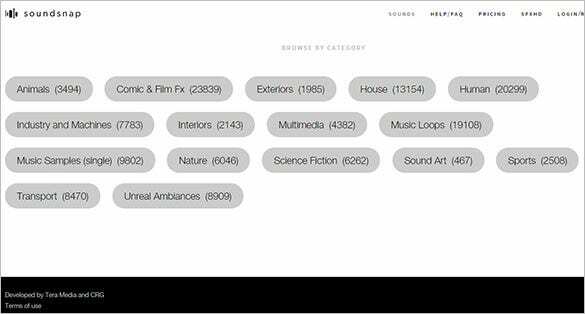 Easy to download and use, the sounds offered on this website range from the mundane daily sounds to the intrinsic musical notes which can be used to enhance the appeal of your project. 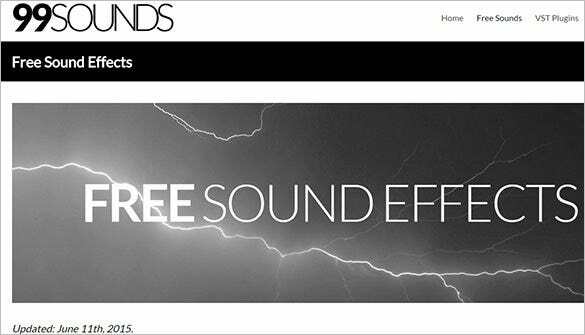 Enjoy a vast variety of sound effects and audio clips with the impressive database that Free Sounds has to offer. 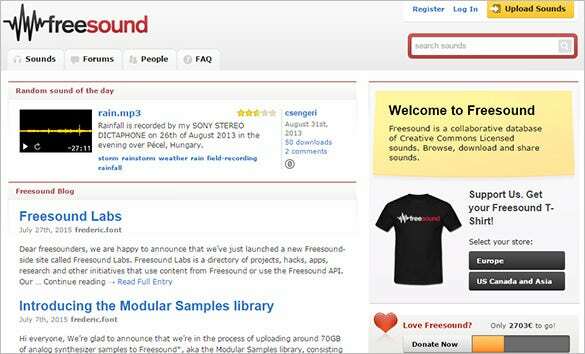 It allows you to browse through its collection download sounds and even share these with others. With an interactive troubleshooting forum, all concerns can be easily addressed and rectified. 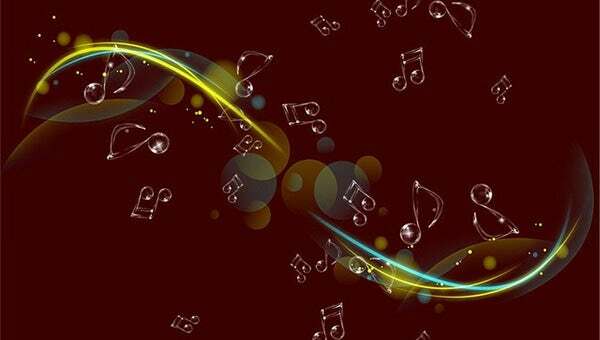 With its extensive collection of sounds and sound effects of all variety, finding the right sound, that too free of cost is possible on this website. The database is updated every three weeks and thus offers you a peek into the latest developments in the field of sound effects. A great platform for all sound creators and designers, this 99 Sounds Free website is a perfect solution for all your sound needs. Boasting of libraries of a number of sound designers, finding the best sound effects for your projects and downloading them for free is possible on this website. 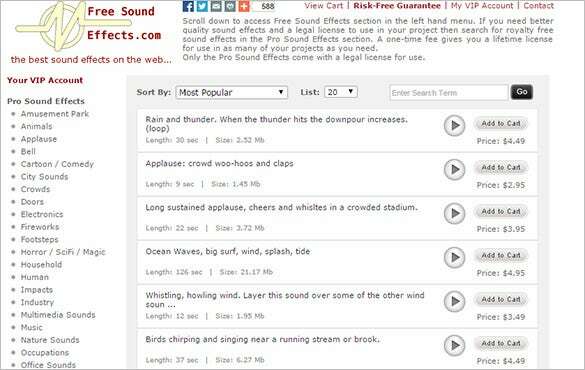 There are websites that offer sound effects free of cost and we have come up here with a fine list of top 10 websites for free sound effects. 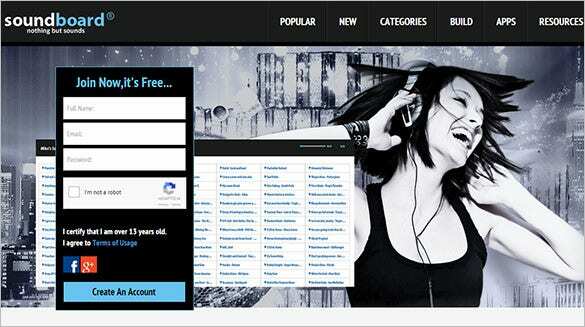 These websites assure amazing audio effects and you are sure to find the right effect as per your specific needs.